Here is what you need to know before you hire a criminal defense attorney. Hiring a criminal defense attorney is arguably one of the most important decisions you will ever make. There is no room for error. A criminal conviction, felony or misdemeanor, can be life altering in a tragic way. A good lawyer can make the difference between you being charged with a crime or convincing the police or prosecutor to drop all charges. If you are charged, hiring a criminal defense attorney can possibly help you avoid jail, a conviction, lengthy probation and more. Criminal Law Specialist. Only hire a lawyer that exclusively handles criminal cases. General practice lawyers or multi-practice lawyers will be less known by judges and prosecutors, have less experience litigating and a lack of specialized knowledge required to obtain the best result. Do Your Research. Google and other search engines are valuable tools. Do a search on any lawyer you are considering. Take a look at on-line reviews and ratings as these can give you valuable insight on whether the lawyer has the qualities you are looking for in a defense attorney. 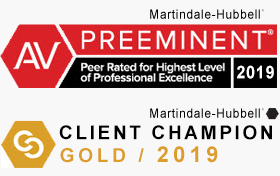 The most credible rating in Michigan can be found on Avvo, Martindale-Hubbell and Super Lawyers. Consultation. Meet the lawyer in person for a consultation. Most lawyers will offer a free consultation to generally discuss your case. It is important, if possible, to meet a lawyer in person before making a hiring decision. Attorney Fees. Ask about how fees are charged. The top lawyers generally will not quote fees over the telephone and will want to meet a potential client in person to evaluate the particular facts of the case. A warning sign of an attorney who focuses more on quantity of cases handled, as opposed to the quality of representation, is if he or she has pre-arranged fees for certain offenses and quotes the fees on the telephone. Most lawyers in Oakland County, Macomb County and Wayne County charge by flat fees as opposed to hourly fees. Bargain Hunting. Lawyer fees can range anywhere between very inexpensive to utterly shocking. What fee is right? Generally, fees tend to correspond with a lawyer’s experience, track-record in court, reputation, skill and effectiveness. Lawyers who charge fees that are suspiciously low or are shockingly high should be looked at critically. Extremely low fees tend to indicate a lawyer who is focused more on quantity than quality. Criminal Defense Law Firms. Law firms generally have more resources than solo-practitioner attorneys and can achieve more favorable results. Although there are some excellent solo-practitioners in Michigan, it is virtually impossible for one lawyer to match the combined power, influence and preparation of a team of lawyers working together on a file. Guaranteed Results. Lawyers cannot ethically or legally promise or guarantee a result. Lawyers who are willing to make promise a particular result for the purpose of manipulating you into hiring them should be avoided at all costs. Plea or Trial. The best trial lawyers get the best plea offers. Lawyers who have a reputation for pleading all of their clients tend to get very weak plea offers because they are not a credible threat to the prosecutor or the court. Lawyers who are known for being effective litigators tend to get the best plea reduction and sentence offers. If you are falsely accused, you need the best trial lawyer you can find. Written Fee Agreement. Would you make any important purchase in your life without a written contract? No. The same principle applies to hiring a lawyer. If an attorney is not providing a written fee agreement, this is a good sign that your “agreement” will be modified at a later date, without your consent, and in a way that will not be favorable to you. A good fee agreement will spell out your responsibilities and those of the lawyer. Switching Attorneys. What if you’ve made a mistake in hiring a criminal defense attorney? The Court Rules provide for changing attorneys for a reason. If your lawyer is not a good fit for you, you have to do what is in your best interest. If hiring a new attorney is best for your future, make the change. A Second Opinion. Meeting more than one lawyer is a very good idea in most cases. Unless you are absolutely convinced you’ve found the right attorney, meet one or two other lawyers for comparison sake. It is also a good idea to bring a trusted friend or family member with you to a consultation to help you make an informed choice. If you have been accused of committing a felony or misdemeanor, you need to act quickly to give yourself the best chance of avoiding charges if possible. If you’ve already been charged, hiring a criminal defense attorney who will truly, faithfully and fearlessly fight for you is a priority. LEWIS & DICKSTEIN, P.L.L.C. is Michigan’s premier criminal defense law firm. Our attorneys have decades of experience and reputations for winning. We will do whatever is necessary to achieve the best possible result. 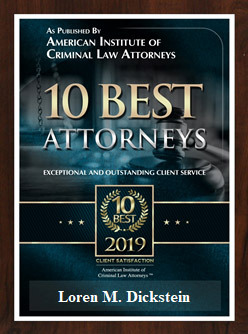 Please call us at (248) 263-6800 for a free consultation or complete a Request for Assistance Form and one of our award winning lawyers will promptly contact you.